The dock twice in Warrington. 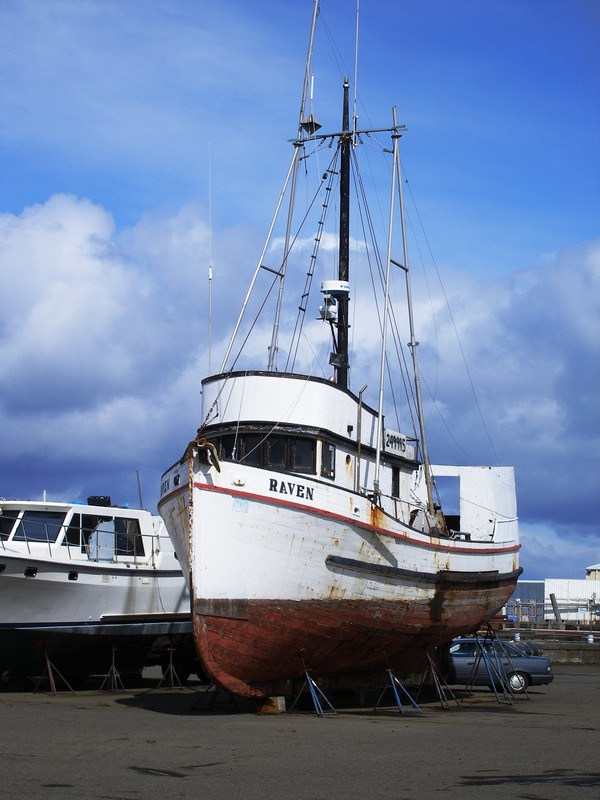 The Raven was built in 1946 at the Franklin Boat Yards and is 46 feet long. 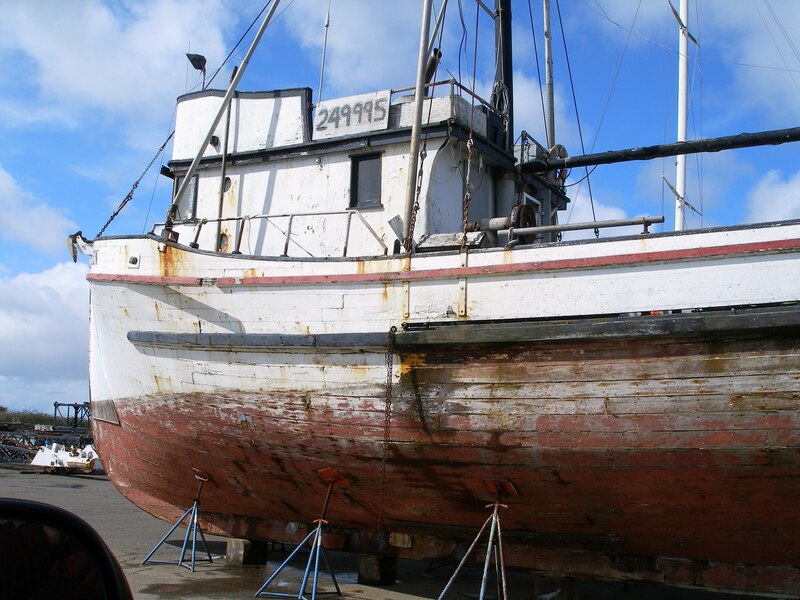 She fished the Alaskan waters most of her career and was put in drydock approx 2 years ago. 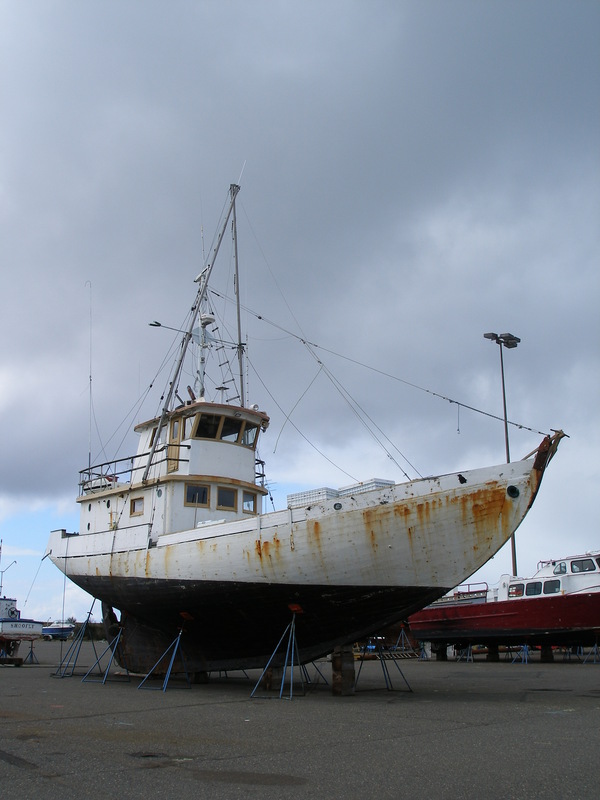 I own her now and work is commencing on refitting her to be a liveaboard. 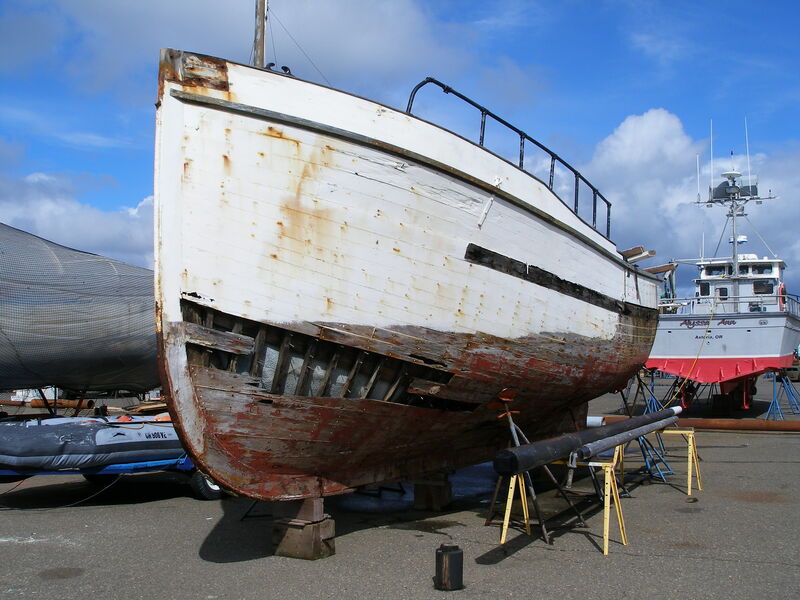 Shes actually in pretty good shape and will be afloat within a year. Just curious about the Raven. 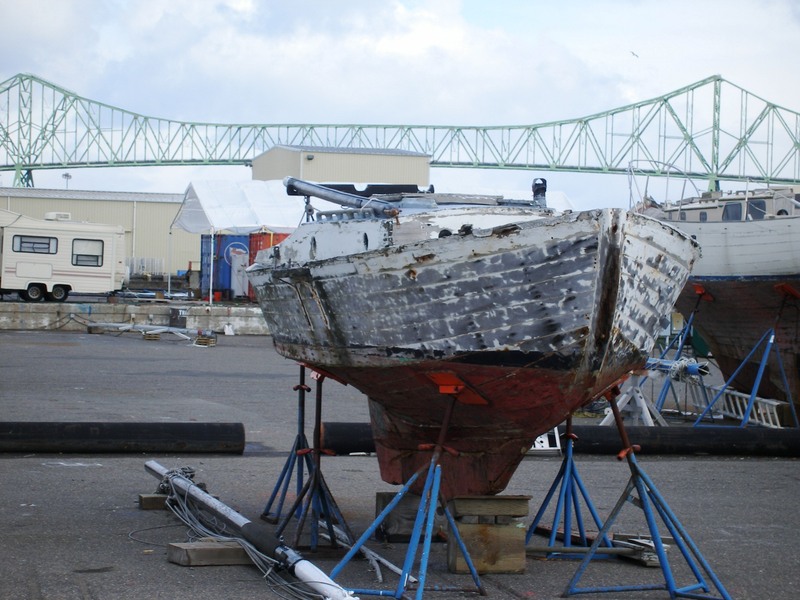 Have you refitted her? 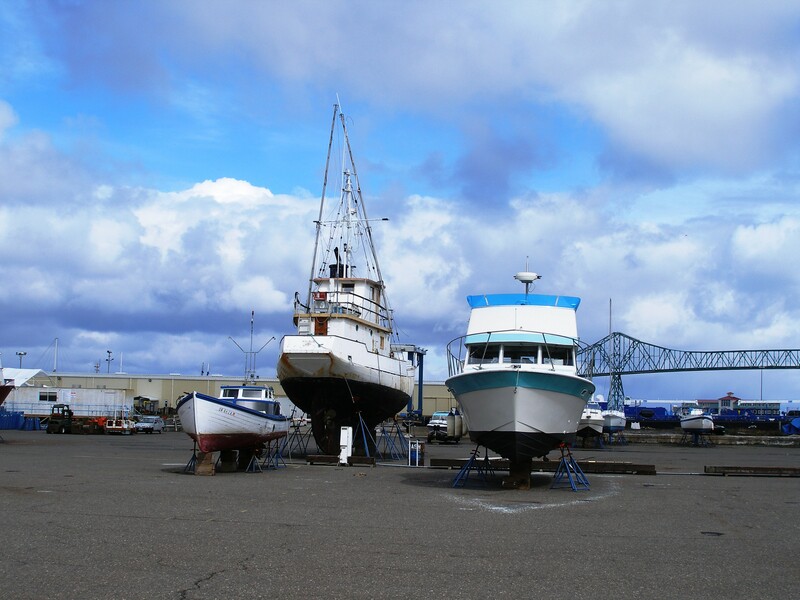 These were the backbone of the fishing fleet. Two men could handle them with ease and make a good living. Unfortunately, the fish aren’t as plentiful as they once were. I remember her in the late 40’s and 50’in Calif.she was owned then by Maurice Coliserto. What’s up, its pleasant post about media print, we all know media is a impressive source of facts. I love the picture of the old Tuna troller “a fish out of water”. I have completed a drawing of the boat and have aged it and placed it on a beach. There is also a gull flying above the troller. I’ve named it the “Jackie Mae” after my wife. I would like to make and sell prints of this drawing and would like your permission to use the image on this site. I will respectively wait for your reply. 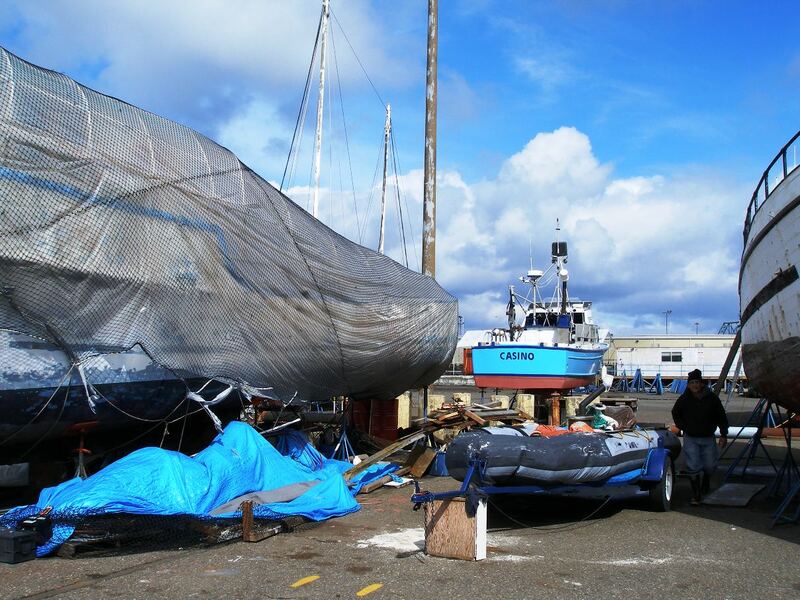 The Bali, is a converted sailing schooner that was once the pride owner actor John Carridine. 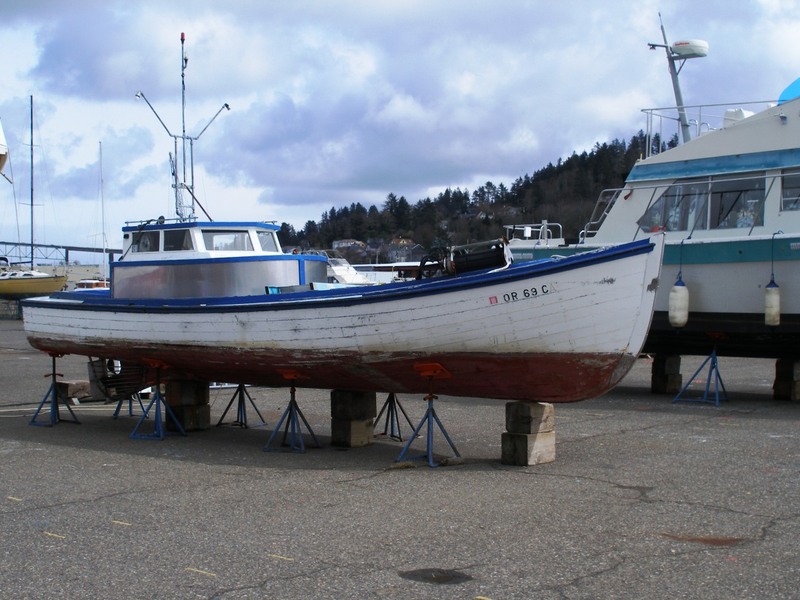 It spent many later years in the Albacore fishery under the command of the late Don Schuler then the late John Seaman. 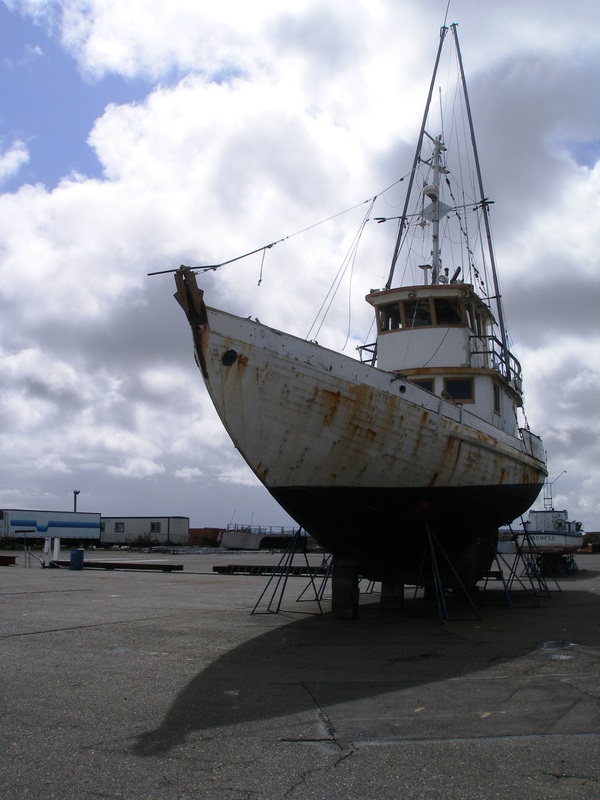 major problems with the fuel tanks have rendered her fetched up in the dry yard all but abandoned.